Lenscraft Landscape Photography What is an F-Stop? What is an F-Stop and How do I use it? Photography has a language all its own and can leave those just starting out with lots of questions. One question that people seem to ask a lot is “what is an f-stop”? Whilst there’s quite a technical answer to this, it’s probably not going to help your photography. What you really need to know is how can the f-stop help you when taking a photograph. To understand what is an f-stop, you need to know what an aperture is. This is an opening or hole inside a camera lens and allows light to pass through to the camera’s sensor. Simple cameras like you might find on a camera phone have a fixed aperture. This means the hole that lets the light through is a fixed size. With more expensive and complex cameras it’s often possible to change the size of the aperture. When we make the aperture large it allows more light to reach the camera's sensor. If we make the aperture smaller it restricts the light reaching the sensor. The f-stop is the measurement of how much light the aperture in the lens allows through. You will usually find the f-stop written as an f followed by a number for example f/5.6. The f-stop is also a standard adopted across the photographic industry. This means if we have a camera set to f/8.0 it allows the same amount of light to pass as any other camera and lens set to f/8.0. The point that sometimes confuses people is that the smaller the f-stop number, the wider the aperture. For example, a lens with an f-stop of f/1.4 will allow much more light to pass than if the f-stop were f/16.0. You can see this in the diagram below. Being able to control the amount of light reaching the camera sensor using the aperture is one way we can control the exposure of a photograph. Controlling the exposure is all about ensuring the image is not too light or too dark. But the aperture is not the only control we can use. There is also the shutter speed and the ISO setting. The shutter speed is how long the camera's shutter opens to let light through the aperture to reach the sensor. If you reduce or shorten the shutter speed, less light will reach the sensor. For example, a shutter speed of 1/60” is half 1/30” and so allows half the light to pass. To expose the image correctly you would need to open the aperture to allow twice as much light through or increase the ISO setting. The ISO setting on a camera is another standard that’s been set to measure how sensitive the camera sensor is to light. If you increase the ISO you increase the sensitivity. When you increase the sensitivity, you don’t need as much light to reach the sensor to expose the photograph correctly. One benefit of being able to use a large aperture is that more light can reach the sensor and so a faster shutter speed is possible. Faster shutter speeds are often desirable as they help reduce the chance of camera shake ruining the photograph. You will sometimes hear the term a “fast lens”. These lenses tend to have a large maximum aperture size like f/1.8 or f/1.2. That’s because the wide aperture allows a faster shutter speed. But the aperture size is not just about controlling exposure. There is a second purpose which is to control something called the depth of field. Depth of field is the area in the image that appears to be in focus. When we use a large aperture, we reduce the depth of field and it’s said to be shallow. If we use a small aperture, we increase the depth of field. Sometimes it’s desirable to limit the depth of field to focus the viewer’s attention on an object. Alternatively, you might want a large depth of field to allow the viewer's eye to wander around the image. You can see a couple of examples below. 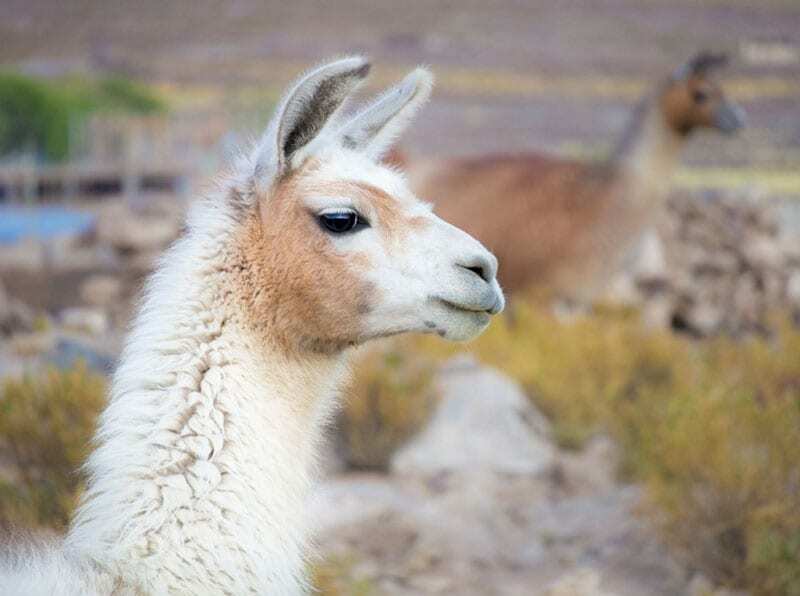 In this first image there are two llamas but because one is out of focus (shallow depth of field) you don’t notice it. In this next image, your eye wanders up to the mountaineer and then on along the ridge to the summit. How you use depth of field in your photography is a creative decision for you as a photographer. It’s the aperture that allows you to control this and it’s the f-stop that allows you to set the aperture. You can find out more about controlling depth of field in this tutorial.